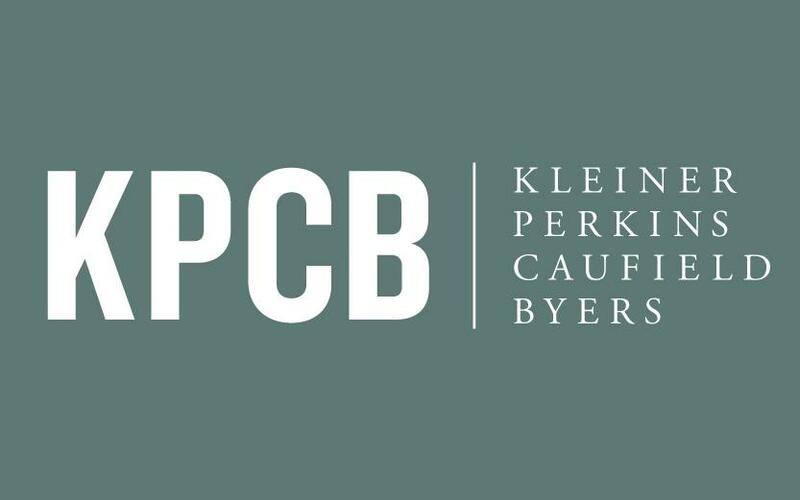 Perhaps one of the most important questions facing corporations today, especially those seeking more innovation, is: what characteristics or attributes signal innovation capability in an individual? 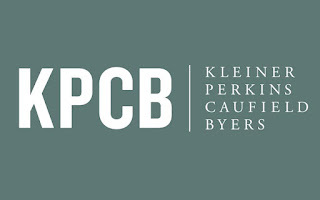 Further, is it possible to embed those key attributes in the corporate culture, so that a corporation mimics the characteristics and capabilities of a strong innovator? Could we distill what made the late Steve Jobs, Thomas Edison and other leading innovators so successful? There’s another unspoken question but inherent in the first: Is innovation capability an innate skill or can it be learned? The 'nature versus nurture' debate continues for innovation skill. On one hand many will argue that Jobs and other innovators like him are genetic mutants, unusual and specifically gifted for innovation success. Others, increasingly, will argue that the skills and characteristics of innovators can be identified, developed and learned. If innovation skills and aptitudes can be acquired and learned, innovation can be accelerated in far more organizations. By identifying behaviours of the world's best innovators - from leaders at Amazon and Apple to those at Google, Skype, and Virgin Group - the authors outline five discovery skills that distinguish innovative entrepreneurs and executives from ordinary managers: Associating, Questioning, Observing, Networking and Experimenting. Once you master these competencies (the authors provide a self-assessment for rating your own innovator's DNA), the authors explain how to generate ideas, collaborate to implement them, and build innovation skills throughout the organization to result in a competitive edge. This innovation advantage will translate into a premium in your company's stock price as an innovation premium - which is possible only by building the code for innovation right into your organization's people, processes, and guiding values and vision. 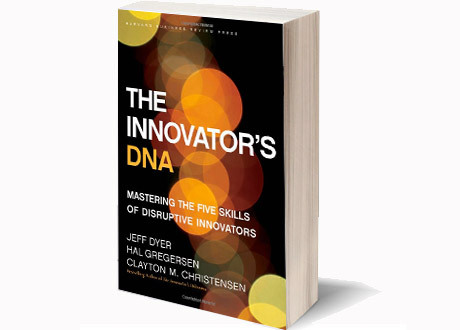 Practical and provocative 'The Innovator's DNA' will strengthen your innovation prowess. See Slideshare for quick overview. Answer: buy a couple of these Bag Holders and the problem's solved. It's the simple inventions that prove a lot: Zip, Velcro, Safety Pin, Cat's Eyes, and now Grocery Bags Holders). The One Trip Grocery Bag Holder is a great idea that should have come about twenty years ago. Basically, it is just a simple plastic handle with a clip mechanism that lets you add plastic bags to it – thereby allowing you to carry up to 50lbs in one hand (as long as your muscles are up to the challenge) without cutting off the circulation to your fingers… ingenious. Unfortunately, in my neck of the woods most people no longer use plastic bags thanks to punitive measurements put into place by local governments. Do have any young Children? Well don't show them this post! Innovation, in fact, is taken quite seriously within the Toy business. No holds bared here. Here's list of innovative toys that kids under 10 years old seem to crave for. If you ever dreamed of turning your backyard into a water park, Little Tikes can make it happen. The Little Tikes Deluxe Water Park has a slide with sprinkler, two water cannons, two tunnels , an obstacle course and a turtle-shaped lounge to chill out in style. Introducing an advanced new Power Functions System designed to bring Creator sets to life via the integration of two interchangeable motors, the Monster Dino can walk and roar at the touch of a button. Controlled by an independent hand-unit, Monster Dino can move forwards, backwards and emit a bloodcurdling roar with fully mechanized joints making it terrifyingly realistic.The unique LEGO Creator concept challenges builders aged 9+ to combine and create each kit into three different build options. In this case, Monster Dino can be re-assembled to introduce two alternative predators – a tail-whipping crocodile and scuttling deadly spider each powered by remote control. The Magnetix I-Coaster looks like barrels of fun. What can be more fun than sending stainless steel ball bearings racing around a track while listening to your favorite MP3s. It also has a sound effects mode which allows it to emit certain sounds as the ball passes certain points. You can plug your MP3 player of choice into it if you prefer music to sound effects. Video of iCoaster here. This animatronic brain incorporates The Concise encyclopedia from Britannica, a dictionary, and a world history timeline, and uses voice recognition technology to respond to verbal prompts, for an interactive roommate that children can use as an academic resource or as a toy. Not only an academic aide, Brian the Brain asks questions concerning the child’s likes and dislikes, using the child’s responses to personalize conversations and to tell jokes. Brian’s database can store telephone numbers and the device connects to a phone jack, allowing Brian to become a child’s personal operator that dials the phone numbers of friends and family in response to verbal commands, or children can use the attached keyboard to prompt Brian to initiate a p hone call. Brian the Brain plays word, memory, and trivia games, and he can say thousands of trivia facts. With digital clock, calendar, MP3 player jack, integrated speaker, and retractable keyboard for text communication with Brian the Brain. What makes the Electric Paper Airplane Launcher cool? It gives you the ability to shoot paper planes out at 31 MPH (50 km/h) and that my friends is freaking cool. Exercise may seem overrated to a majority of children today, but if parents can get kids to exercise, have fun and for an added bonus, learn along the way, both parties will end up happy. Fisher Price seems to accomplish all these things with the Smart Cycle. The Plug & Play device gets the child to pedal to play while reinforcing important preschool concepts like letters, numbers, shapes and colors. Think of it as spinning with pop quizzes. Just because it’s raining, snowing or otherwise blustery outside, that doesn’t mean that your child can’t get the exercise she needs. The Fisher Price Smart Cycle combines the fun indoor activity of video game playing with the physical activity the great outdoors will give you. Designed for kids ages three to six, the Smart Cycle “physical learning arcade system” is an all-in-one stationary bike, video game console, and educational tool. Your little one will exercise her brain and her body — and have loads of fun in the process. RipRoar – Creation Station gives you the power to create, share, and star in your own videos. Use the included Green Screen to change the background, replacing it with any image or video that you wish. With the included editing software manipulate extra objects add sound f/x, and music. When you are done with your Oscar winning performance, upload to YouTube with one click or burn yourself a DVD. Watch theRipRoar commercial here. Transformers was a big hit on the silver screen and an even bigger hit with toy collectors. I had a hard time picking just one transformer toy, but I’m giving the honor to the Transformers Music Label SoundWave MP3 Player edging out the close second, Darth Vader Transformer. The Transformers Music Label SoundWave MP3 Player is an action figure and a one-of-a-kind MP3 player. Soundwave’s cassette door opens to reveal a Mini SD card reader (Mini SD card is not included). “Soundwave is available in two colors, the more traditional blue color scheme and also an all white color scheme in honor of the iPod”. Extensive video (aka. LONG) review of Transformers MP3 here. Just imagine the possibilities. Take aerial video footage with an on-board spy camera as you maneuver this helicopter with its handheld remote. Video images display on the transmitter’s 2″ LCD screen. Much more fun than a microscope, the EyeClops transforms any television into an interactive TV toy. With the EyeClops, the ordinary becomes extraordinary. Magnified to 200 times the normal size and viewed on any TV screen, minuscule salt crystals morph into blocks of ice; hair and carpet turn into giant noodles; and small insects become fearsome creatures. The Bionic Eye has three built-in LED lights so kids can illuminate any object, including their own skin. Want to learn how to deal with the challenges ahead? Cataclysmically disruptive innovation. Exponentially accelerating change(s). New technologies that out smart you. Machines that make your cry. And dealing with an economy infested by inverse productivity. As in what used to take 20 people 3 years a mere 30 years ago, now takes 1 person 1 month NOW! Click to find out about this amazing Conference! 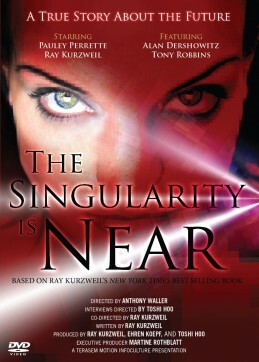 'The Singularity is Near' the Movie: Reality is just about to get a whole lot bigger! I bought and studied (and still am) Ray Kurzweil’s books 'The Age of the Spiritual Machine' and 'The Singularity is Near,' as soon as they went on the shelf. Ray's ‘Singularity’ thesis is arguably the 'Thesis-of-Thesis.' Claiming, with tons of empirical evidence, that ‘Man-Machine’ intelligence and physicality is combing as one; ultimately emerging a revolutionary new reality. For the novas - as in first time reader/first time encounter - the thesis sounds very much like science fiction, some even say that Ray is even toying with us. Is the ‘Price-Performance’ of computers, in fact all electronic gadgets, improving exponentially? Are synthetic implants now common place in the human body (inter/intra brain aural systems, bionic-ocular implants, mico-valvic-pump heart implants, electromechanical knee and hip joints, regenerated ‘cloned’ teeth, artificial hearts, mind controlled artificial hands, mind controlled wheel chairs, etc, etc). But Ray says it is more than even this. It is the whole that is interconnecting – Hyperinnovating – in fundamentally profound and revolutionary ways. ‘End of the concept of death,’ any one? 'The onset of the 21st Century will be an era in which the very nature of what it means to be human will be both enriched and challenged as our species breaks the shackles of its genetic legacy and achieves inconceivable heights of intelligence, material progress, and longevity. Click here to see Movie trailer. Click for Singularity type music (The Robots).